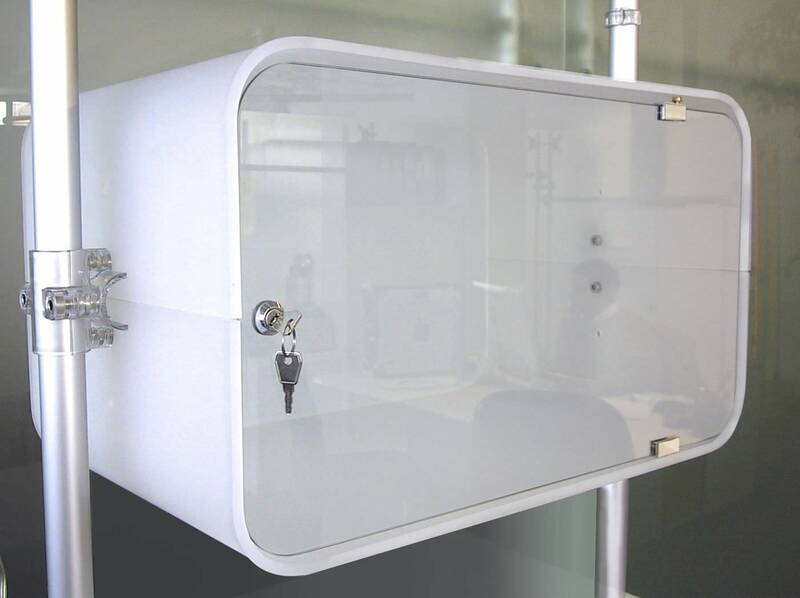 Modular cabinet in white frosted acrylic. With transparent lockable door. Can be equipped with led lamp inside.